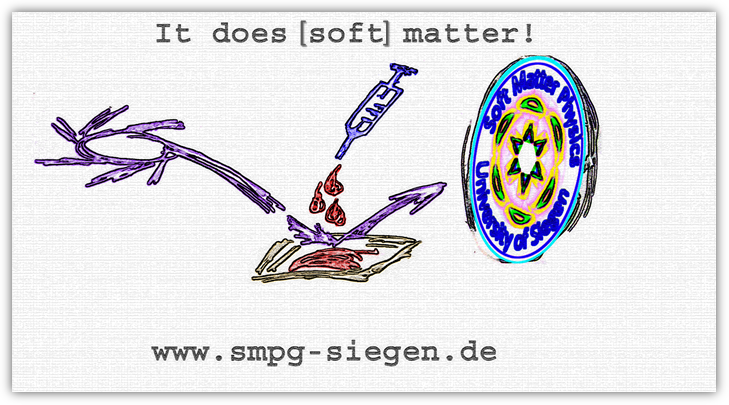 The Soft Matter Physics Group is part of the Solid State Physics Group (Prof. Pietsch) at the University of Siegen. Our research is focused on correlation of the structure, morphology and device performance of the novel functional organic materials. Of particular interest is the characterization of the conjugated polymer films on nanoscale. Scientific work is highly interdisciplinary and involves the fabrication and characterization of functional organic thin films, design of organic thin film transistors and solar cells. For our structural studies of the different material systems which include conjugated oligomers, polymers and bulk hetero junction systems, we use our x-ray machines in the lab and we frequently visit synchrotron light sources. For the realization of our experiments we develop our own tailored sample environment cells.